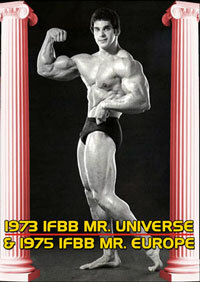 Held in Herentals, Belgium on the 11th of June, 1994, the NABBA World Championships have attained considerable prestige in world amateur bodybuilding circles. 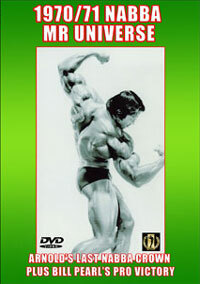 Winners came from Australia, Germany, USA, UK, Russia, etc., with the overall standard at the highest level. The new young stars to emerge included the handsome young blond Russian Junior, KONSTANTIN POUTCHKOV; the overall men's winner KLAUS TOMANDL (Germany); and LISA EGAN (Australia) the overall Women's Physique winner. Australian TANIA MITTONI (Overall Figure winner) is a multi title winner as is BERNARD BRYAN (Masters winner) from England. Pairs winners PETER and RENATE NEUBAUER from Germany had a fabulous routine. Other class winners included ERNIE TAYLOR (a future top Pro star) and JAMES YOUNG of England, GRANT CLEMESHA of Australia, CATHY BUTLER of USA, and VERONIQUE BOSSAN of France. Another to leave his mark was super poser, the "electric" RAMSFORD SMITH of England in a welcome return to International competition. This massive DVD almost 4 hours long is the COMPLETE SHOW including Parade of Nations and laser show. The Prejudging was not recorded. From the opening lineup at the start of every class, each competitor is introduced while hitting a pose. The lineup then does 1/4 turns. See the top 6 finalists being called out to leave the stage. Remaining competitors all pose down for 30-40 seconds. 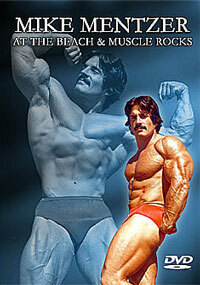 THIS MEANS THAT YOU SEE SOME POSING FROM EVERY SINGLE COMPETITOR. The top 6 finalists then do their individual complete posing routines. You also see all class awards. 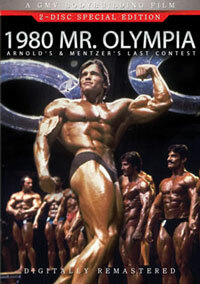 At the end of the show there is the OVERALL POSEDOWN. 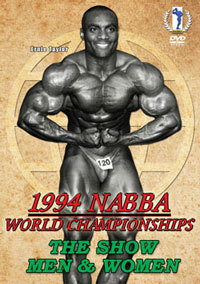 1994 NABBA World Championships Complete Results.